The harbor tug La Bella sank after hitting anchor of the general cargo ship Gold Eagle in Zamboanga port, Philippines. The tug was maneuvering around the vessel, assisting her to enter port, but stuck at the anchor, which caused capsizing and sinking. During the accident there were two people on board of the tug, as one succeeded to swim ashore, while the other one cling on cargo ship’s anchor. There were no reported injuries and no damages to the general cargo vessel Gold Eagle, which entered the port and docked successfully. The weather was severe with heavy seas and strong winds, which probably was among the root causes of the sinking. The accident was reported to the local authorities and was initiated investigation for the circumstances around capsizing. 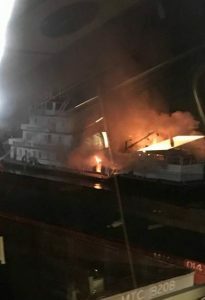 According to preliminary information, the skipper of the tug violated the safety rules, proceeding close to the vessel is bad weather and heavy seas. The general cargo ship Gold Eagle (IMO: 9168398) has overall length of 97.00 m, moulded beam of 18.00 m and maximum draft of 7.80 m. The deadweight of the vessel is 6,914 DWT and the gross tonnage is 5,580 GRT. The ship was built in 1997 by IS Shipyard in Imabari, Japan. 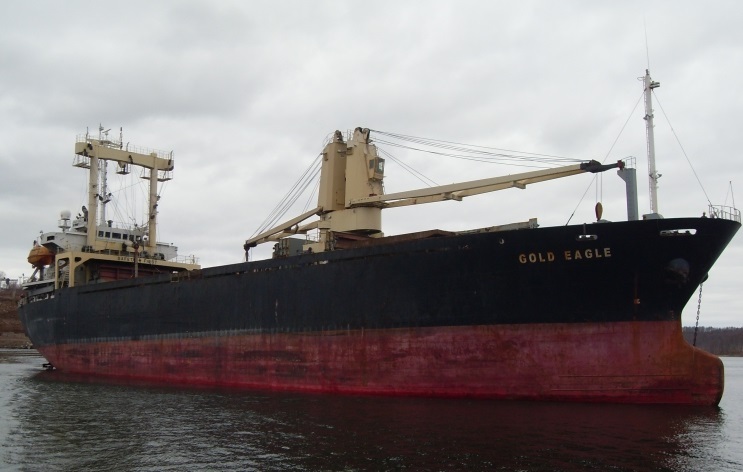 The owner and operator of the cargo ship Gold Eagle is Chinese company Yunhao International.